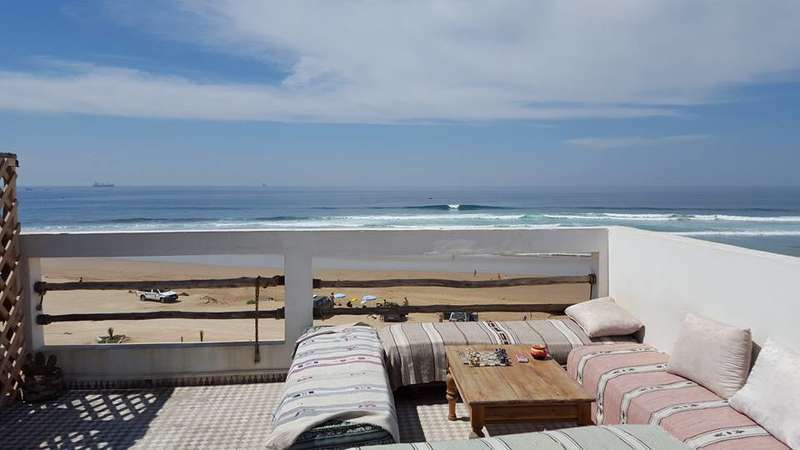 Our Surf House is the typical Moroccan one but with all the facilities that a surfer can dream with and the most important, just in front of the waves! :) We have 4 rooms, 3 of them are shared rooms with bunk beds and the other is private room with a double bed. 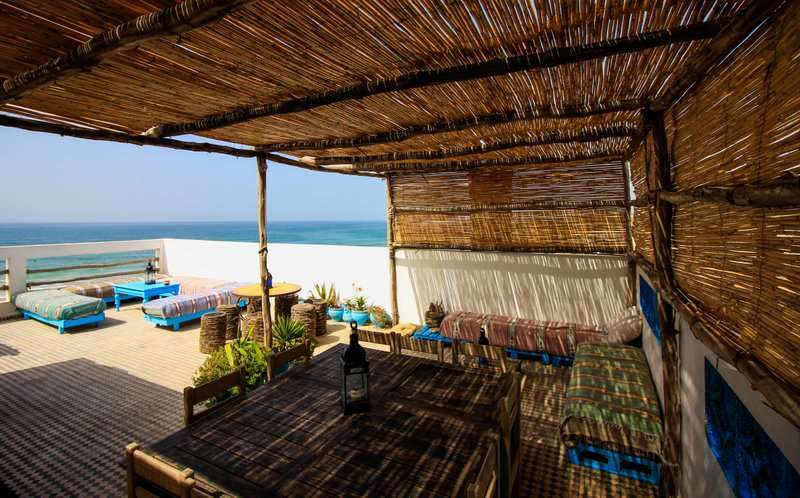 The common areas are the kitchen, the living room and the amazing terrace, all of these area with incredible sea view. 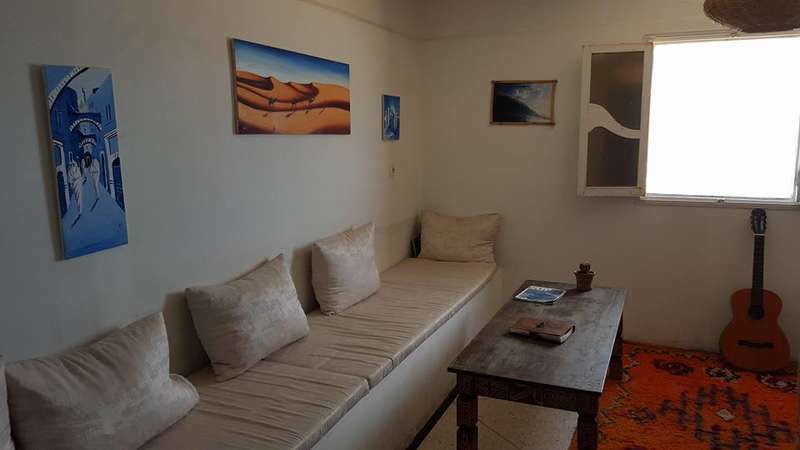 By Car: the best option is to introduce our coordenates in your GPS and just follow the route, anyway is easy to find us, the first small village you will find when you leave Agadir in direction to Essaouira or Taghazaout. * Cancellation less tan 7 days before arrival - loss of 100% of holiday cost.